Introducing Commit #22 to TEAM134. 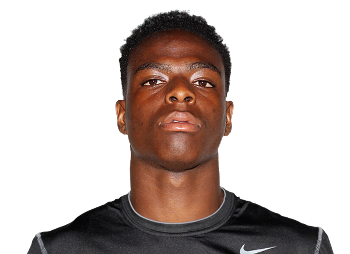 He is Channing Stribling, a DB out of Matthews, North Carolina. He is 6'2" and checks in at 170 pounds. He camped at Michigan this week and the coaches extended an offer. Less than 24 hours later he informed Steve Lorenz of Tremendous that he would be committing to Michigan. I caught up with Channing to see what he had to say. HokeMM: You came to Michigan to camp and you obviously played very well, Coach Hoke extends an offer and in less than 24 hours you decide to commit...why so quick? Channing: Well Michigan has a huge family atmosphere. After Coach Hoke extended the offer I did some praying, I prayed with my mom and once she gave me her blessing, I knew it was time. The environment is great, I got to talk to some of the current players and they told me about what being a "Michigan Man" was and all of that and I just loved it. HokeMM: You're now part of the #1 recruiting class in the country, how does that feel? Channing: It feels good. Coach Hoke told me I was joining great players and that I would be a part of the number one class. It's just a great atmosphere and good thing to be a part of. HokeMM: This class has limited spots, what did the coaches tell you as far as what they liked when they offered? Channing: Well Coach Mattison gave me the nickname "spider" because of my length. They really liked that I worked hard, my length, and my speed. They said I played with a chip on my shoulder and that they liked my work ethic. HokeMM: How do you feel about playing for Coach Mattison? Channing: Oh he's the best D coordinator in the country. My high school defensive coordinator is the best in the country right now so to go from playing for him to playing for Coach Mattison is great. It's playing for the best to playing for the best again. HokeMM: You're very under the radar to most people. Many hadn't really heard of you...most sites have you rated as a 2* or 3* what does all of that mean to you? Channing: Stars and ratings don't really mean anything to me. It was amazing to me there's all of these guys in the ESPN150 and the Michigan coaches decide to offer me. It really made me feel welcome and at home. That was a huge deal in me committing. Honestly, if you work hard and go out there and do what you do, rankings don't really matter. A good friend of mine is getting offers from schools, but he was skeptical about his rating and I told him as long as you go out there and work hard and show the coaches what you can do, none of that other stuff really matters. HokeMM: I know you're also listed at playing wide receiver, how long have you played defense? Channing: Well, I moved to safety last year. I started out there and then eventually moved to Corner. So I've played defense for just over a year. HokeMM: Wow, so you've played defense for just over a year? Channing: Yes sir. Given my size and speed I am definitely better at corner. HokeMM: Well, that is amazing, for only playing for a year and getting offered by Michigan for that position is great. HokeMM: Is there going to be any special kind of announcement from you as far as your commitment or you just going to put something up on twitter? Channing: Well I originally told the coaches that I would let them know in a week, but since my mom gave me her blessing right away I asked Coach Mattison if I could meet with Coach Hoke tomorrow and let him know that I'm going to commit. So that's what I'm going to do. After that I'll put something up on twitter just to let everyone know from me. HokeMM: Alright Michigan fans are all about the players and recruits, what's something non-football related you can tell them about yourself? Channing: Well, I just really love sports. My dream was to play college basketball and eventually play in the NBA but it looks like that's not going to happen haha. I'm actually going to try out for the basketball team and maybe see how that goes. I twisted my ankle last year and they said three weeks before I could play but I was off the field for 2 days and that wasn't flying so I got back in there and kept playing. Channing is a great kid and is overly excited to be playing for the University of Michigan. He was very respectful, always saying, "yes, sir" and that just tells me he is another "high character" kid that Coach Hoke is recruiting. He's 6'2" and his new nickname of 'spider' is very fitting because the coaches like tall corners. Channing is pretty inexperienced on defense, so I do think there's a great chance his place in the rankings improves as he gains more experience. It's a great pick-up for Michigan and although the rankings and ratings might not be there yet, it's awesome to see him become a Wolverine. I'll attach his highlight film so you can all get a feel for his impressive talents. Probably will see this kid as a red shirt to work on his speed and increase some good muscle weight. Could potentially be very productive like Steve Breaston. Will see if he pans out. Still would have liked to hold out on a Kendall Fuller, McQuay, and Treadwell. 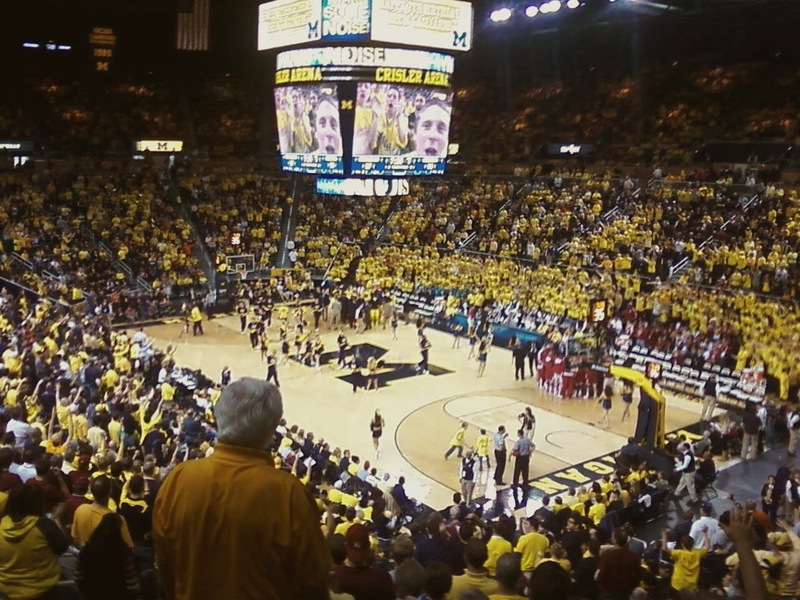 Who Can Be The X-Factor For Michigan Basketball In 2014-2015?